There are papers that talk of groundbreaking discoveries. There are papers which review the current status of the field, akin to bringing you up-to-date with what’s going on. And then there are papers that open up portals to new sub-fields, with the clarity of their message and the precision of the questions they pose. Today’s paper is one such publication, which in 1996 started an interesting journey in the world of Cosmic Microwave Background (CMB) and Observational Cosmology. Discovered for the first time in the 1970s, CMB studies have relied on measuring the temperature of this relic radiation today, which has sent photons to us from the era when the universe was essentially a plasma of matter and radiation. This era of the universe is where we can see the earliest ‘CMB photons’, a surface aptly called the surface of last scattering. Measuring its temperature gives us an idea about the energy content of the universe at that surface, which decreases as the photons travel towards us and lose energy in an ever-expanding universe. Fig 1. 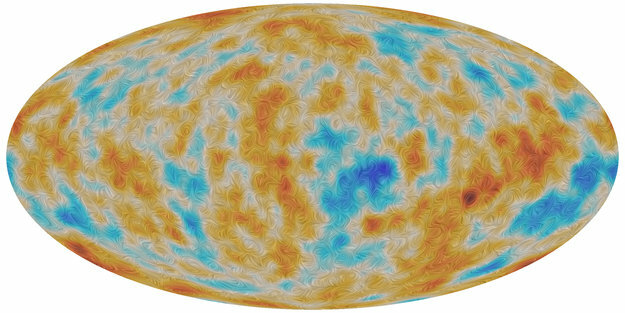 The CMB Temperature map of the entire sky, observed by WMAP (as of 2012). The different colors correspond to different temperatures, at the minute scale of micro-Kelvins. It was discovered in 1992 by the Nobel prize-winning satellite COBE that this radiation was isotropic to one parts in 100000, i.e. the uniformity of the CMB temperature across two points in the sky was only different by 10^-5! Following this, studies were undertaken to discuss what these anisotropies, or non-uniformities actually meant. Today, we know of several mechanisms that answer this question – mechanisms that have gained credence with results from CMB telescopes like WMAP, PLANCK, the Atacama Cosmology Telescope, and the South Pole Telescope. The Atacama Cosmology Telescope (ACT) is a six-metre telescope on Cerro Toco in the Atacama Desert in the north of Chile, near the Llano de Chajnantor Observatory. But back in 1996, these programs did not exist. The authors of our paper undertook the task of figuring out the theory of a future mission that could conclusively tell us about the nature of the universe back at the last CMB surface. This in turn, would help us characterize the early universe as well as the evolution of the universe between us and the surface of last scattering. 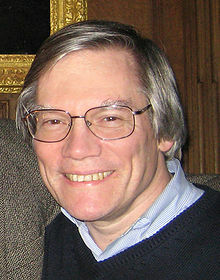 What is the study of the evolution of universe since the big bang, but observational cosmology! Where do CMB observations come into the picture here? 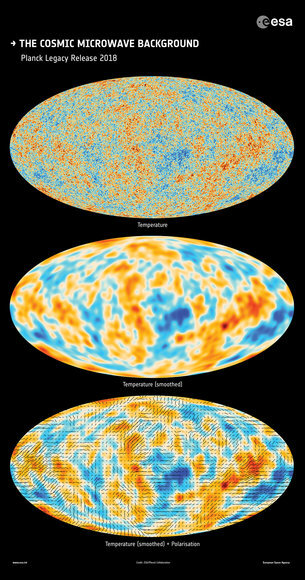 CMB is mostly measured in the form of temperature maps, a representation of the energy of the CMB photons across the sky (now, and by extrapolation back in the early universe). This information is best displayed as temperature differences as a function of angular scales in the sky, or ell’s as they are called. The term ell (or l) comes from the fact that on a 3-D sphere like the universe, the best way to compare two different points is to expand the temperature using spherical harmonics (which have ell’s or l in them), just as we expand points on a 2-D surface in terms of sine and cosine. If ell’s are hard to imagine, angular scales are more intuitive (check top axis on Figure 2)! Fig 2. Anisotropies as a function of angular scale (or ell’s) in the sky, as observed by different telescopes e.g. WMAP, Boomerang. The solid line is a theoretical model that fits the observations. A better resolution of the telescope allows us to distinguish between temperatures in nearby regions, i.e. at smaller scales (or higher ell, in CMB lingo). A better sensitivity allows us to capture minute differences in this temperature. The authors in today’s paper assume a sensitivity and resolution better than COBE, and talk about their projections of a future experiment (which turned out to be WMAP)! 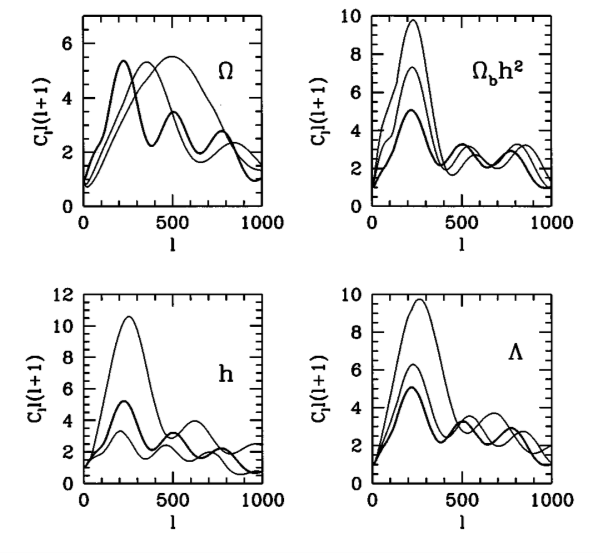 The authors go about their predictions by describing the basic accepted theory (at the time) surrounding CMB generation, and what could have possibly caused the width and peaks of the anisotropies look the way they do (seen in Fig 2). Let’s see if we can capture a few of the ideas put forward here. Fig 3. Different predictions of cosmological parameters as a function of ell’s (or angular scale), from today’s paper. Each solid line in each panel is a prediction of the CMB map for a specific value of that parameter, keeping the other three parameters constant. 1.If the cosmological constant is too high in the universe, it increases the distance between us and the surface of last scattering, and subsequently in the anisotropy map. 2.Moreover, if there is more structure between us and the CMB because of the evolution of the universe(e.g. galaxy clusters), that would make the photons scatter more off this structure, and hence increase the peaks (or strengths) of these anisotropies. 3.If more perturbations were going on when the CMB was a plasma(at a time when the universe was tiny and most of the points in the sky were in close proximity with each other), the anisotropies seen at large scale NOW (that used to be close by back then) would be larger. Hence, this would mean higher peaks at lower ell, or higher angular scales. 4.The biggest peak in Figure 2, is seen at an angular scale (or ell) of the horizon at surface of last scattering. We call this a horizon, because that is literally the edge of the universe that could communicate with each other back in the CMB era. This was a fixed physical scale, but what it looks to us today depends entirely on whether our universe is flat, closed or open. For example, in an open universe (like a sphere), the subtended angular scale would look wider than in a flat universe. Hence, the spectrum would move to a lower ell (or higher scales). Fig 4.The three squares are 10-square degree patches of the sky. The difference in colors are displaying the different resolution and sensitivities of the three generations of CMB telescopes. COBE kickstarted the field of CMB anistropies, while Planck clearly sets the current standards. Predictions like these form the core content of this paper, which led to several anisotropy studies in the future. WMAP, the natural all-sky successor to COBE, put amazing constraints on CMB anisotropies in temperature in 2001 (Fig 1). The Planck satellite is the current standard for CMB studies at low-ell (large angular scales e.g. across the sky), with SPT and ACT contributing to high-ell (smaller angular scale e.g. galaxy clusters) studies. The future is even brighter for CMB (literally, and metaphorically), as we look forward to higher sensitivities, and resolution that helps with smaller and smaller angular scales in the sky. Arecibo Observatory observations of galactic neutral hydrogen structure confirm the discovery of an unexpected contribution to the measurements of the cosmic microwave background observed by the WMAP and Planck spacecraft. An accurate understanding of the foreground (galactic) sources of radiation observed by these two spacecraft is essential for extracting information about the small-scale structure in the cosmic microwave background believed to be indicative of events in the early universe. The new source of radiation in the 22 to 100 GHz range observed by WMAP and Planck appears to be emission from cold electrons (known as free-free emission). While cosmologists have corrected for this type of radiation from hot electrons associated with galactic nebulae where the source temperatures are thousands of degrees, the new model requires electron temperatures more like a few 100 K.
The spectrum of the small-scale features observed by WMAP and Planck in this frequency range is very nearly flat — a finding consistent with the sources being associated with the Big Bang. At first glance it appears that the spectrum expected from the emission by cold galactic electrons, which exist throughout interstellar space, would be far too steep to fit the data. However, if the sources of emission have a small angular size compared with the beam width used in the WMAP and Planck spacecraft, the signals they record would be diluted. The beam widths increase with lower frequency, and the net result of this “beam dilution” is to produce an apparently flat spectrum in the 22 to 100 GHz range. The model invoking the emission from cold electrons not only gives the observed flat spectrum usually attributed to cosmic sources but also predicts values for the angular scale and temperature for the emitting volumes. Those predictions can then be compared with observations of galactic structure revealed in the Galactic Arecibo L-Band Feed Array (GALFA) HI survey. The angular scales of the smallest features observed in neutral hydrogen maps made at Arecibo and the temperature of the apparently associated gas both match the model calculations extremely well. So far only three well-studied areas have been analyzed in such detail, but more work is being planned. The data suggest that the structure and physics of diffuse interstellar matter, in particular of cold hydrogen gas and associated electrons, may be more complex than heretofore considered. Such complexities need to be taken into account in order to produce better foreground masks for application to the high-frequency continuum observations of Planck and WMAP in the quest for a cosmologically significant signal. USRA’s Dr. Joan Schmelz will present these findings on January 4, 2017, at a press conference at the American Astronomical Society’s (AAS) meeting at Grapevine, Texas. The results were published in the Astrophysical Journal, December 1, 2016, in a paper entitled On the Nature of Small-Scale Structure in the Cosmic Microwave Background Observed by Planck and WMAP by G. L. Verschuur and J. T. Schmelz. USRA was founded in 1969, near the beginning of the Space Age, driven by the vision of two individuals, James Webb (NASA Administrator 1961-1968) and Frederick Seitz (National Academy of Sciences President 1962-1969). They recognized that the technical challenges of space would require an established research base to develop novel concepts and innovative technologies. Together, they worked to create USRA to satisfy not only the ongoing need for innovation in space, but also the need to involve society more broadly so the benefits of space activities would be realized. Results of four years of observations made by the Planck space telescope provide the most precise confirmation so far of the Standard Model of cosmology, and also place new constraints on the properties of potential dark-matter candidates. That is the conclusion of astronomers working on the €700m mission of the European Space Agency (ESA). Planck studies the intensity and the polarization of the cosmic microwave background (CMB), which is the thermal remnant of the Big Bang. These latest results will no doubt frustrate cosmologists, because Planck has so far failed to shed much light on some of the biggest mysteries of physics, including what constitutes the dark matter and dark energy that appears to dominate the universe. Planck ran from 2009–2013, and the first data were released in March last year, comprising temperature data taken during the first 15 months of observations. A more complete data set from Planck will be published later this month, and is being previewed this week at a conference in Ferrara, Italy (Planck 2014 – The microwave sky in temperature and polarization). So far, Planck scientists have revealed that a previous disagreement of 1–1.5% between Planck and its predecessor – NASA’s Wilkinson Microwave Anisotropy Probe (WMAP) – regarding the mission’s “absolute-temperature” measurements has been reduced to 0.3%. Planck’s latest measurement of the CMB polarization rules out a class of dark-matter models involving particle annihilation in the early universe. These models were developed to explain excesses of cosmic-ray positrons that have been measured by three independent experiments – the PAMELA mission, the Alpha Magnetic Spectrometer and the Fermi Gamma-Ray Space Telescope. The Planck collaboration also revealed that it has, for the first time, “detected unambiguously” traces left behind by primordial neutrinos on the CMB. Such neutrinos are thought to have been released one second after the Big Bang, when the universe was still opaque to light but already transparent to these elusive particles. Planck has set an upper limit (0.23 eV/c2) on the sum of the masses of the three types of neutrinos known to exist. Furthermore, the new data exclude the existence of a fourth type of neutrino that is favoured by some models. 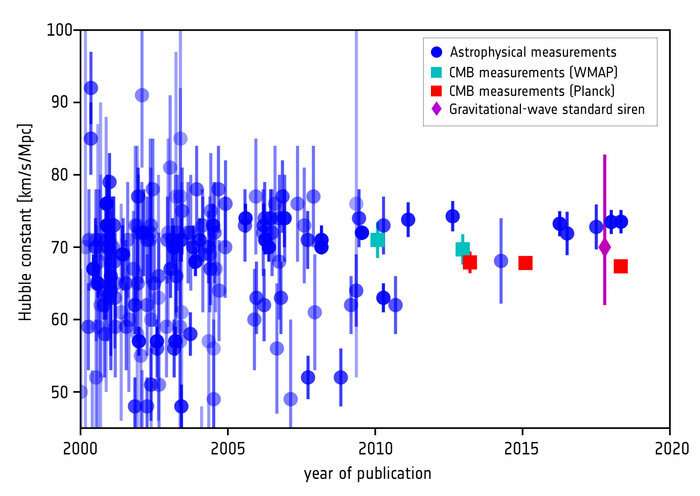 Despite the new data, the collaboration did not give any insights into the recent controversy surrounding the possible detection of primordial “B-mode” polarization of the CMB by astronomers working on the BICEP2 telescope. 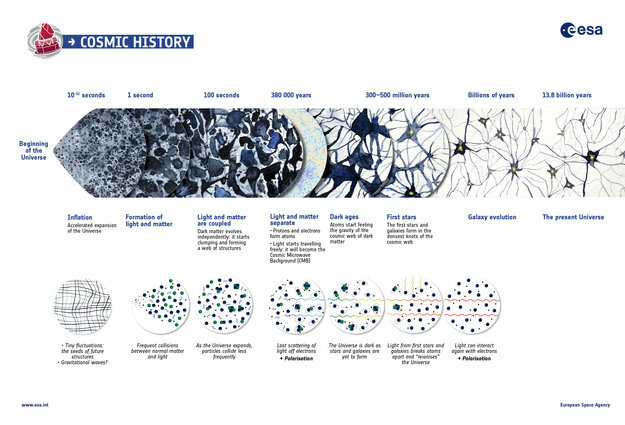 If verified, the BICEP2 observation would be “smoking-gun” evidence for the rapid “inflation” of the early universe – the extremely rapid expansion that cosmologists believe the universe underwent a mere 10–35 s after the Big Bang. A new analysis of polarized dust emission in our galaxy, carried out by Planck earlier in September, showed that the part of the sky observed by BICEP2 has much more dust than originally anticipated, and while this did not completely rule out BICEP2’s original claim, it established that the dust emission is nearly as big as the entire BICEP2 signal. Both Planck and BICEP2 have since been working together on joint analysis of their data, but a result is still forthcoming. “The Wilkinson Microwave Anisotropy Probe (WMAP) is a NASA Explorer mission that launched June 2001 to make fundamental measurements of cosmology — the study of the properties of our universe as a whole. 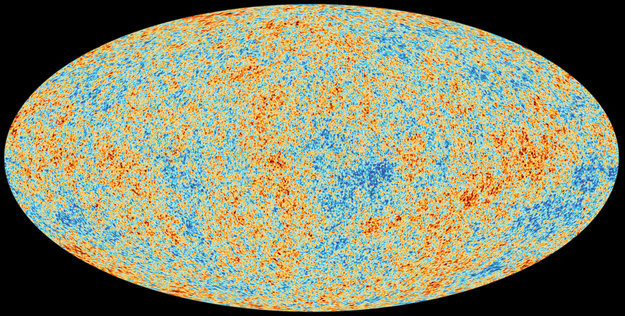 WMAP has been stunningly successful, producing our new Standard Model of Cosmology. WMAP’s data stream has ended. Full analysis of the data is now complete. Publications have been submitted as of 12/20/2012. The WMAP science team has determined, to a high degree of accuracy and precision, not only the age of the universe, but also the density of atoms; the density of all other non-atomic matter; the epoch when the first stars started to shine; the ‘lumpiness’ of the universe, and how that lumpiness depends on scale size. In short, when used alone (with no other measurements), WMAP observations have improved knowledge of these six numbers by a total factor of 68,000, thereby converting cosmology from a field of wild speculation to a precision science. WMAP’s ‘baby picture of the universe’ maps the afterglow of the hot, young universe at a time when it was only 375,000 years old, when it was a tiny fraction of its current age of 13.77 billion years. The patterns in this baby picture were used to limit what could have possibly happened earlier, and what happened in the billions of year since that early time. The (mis-named) ‘big bang‘ framework of cosmology, which posits that the young universe was hot and dense, and has been expanding and cooling ever since, is now solidly supported, according to WMAP. WMAP observations also support an add-on to the big bang framework to account for the earliest moments of the universe. 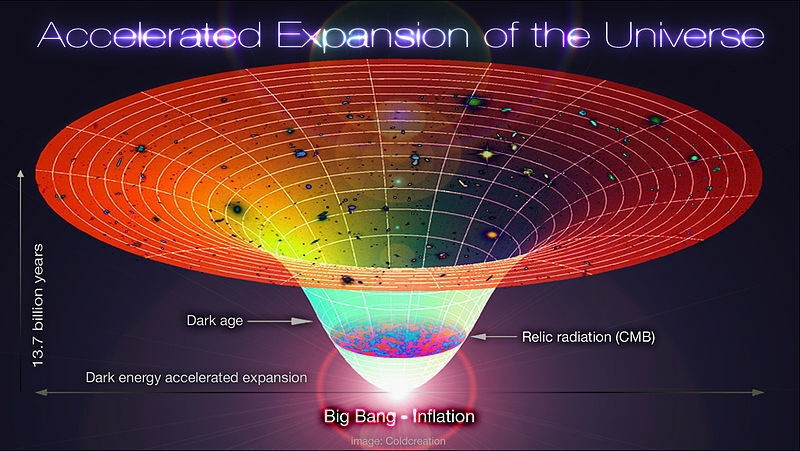 Called ‘inflation,’ the theory says that the universe underwent a dramatic early period of expansion, growing by more than a trillion trillion-fold in less than a trillionth of a trillionth of a second. Tiny fluctuations were generated during this expansion that eventually grew to form galaxies.